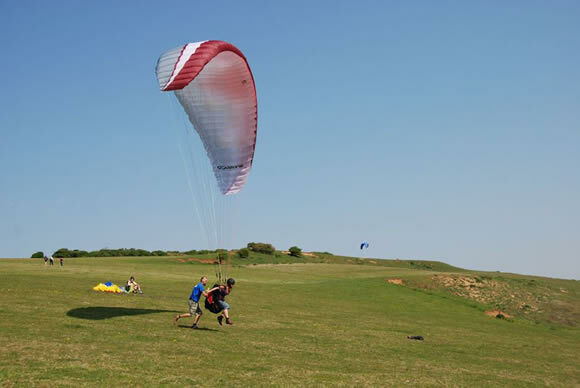 The Orchards location makes paragliding at all Southdowns sites easy. West of Lewes is Devils Dyke, east is Mount Caburn, High and Over and Firle Bo-Peep! If you fancy flying with breath taking views of the coast and sea, Newhaven is only seven miles South. Some sites require East Sussex hang gliding club membership. If you want to do a course please contact one of the companies list under paragliding in lewes. Don't forget to book your accommodation before you fly! Discounts are available for paragliders. Please call Orchard B&B for more details.